One year ago yesterday I swatched this polish for the first time and I recently went through the 600 collection a re-swatched them all. My previous swatches of this polish were ok and I'm happy with how I captured the holo effect, but man I hate how my nails were shaped back then. They look long and badly shaped!! Argad! I'm much happier with my nail length and shape now days, but I have to say I get sick of filing!! I feel like I have to do it every second day to keep them this length. 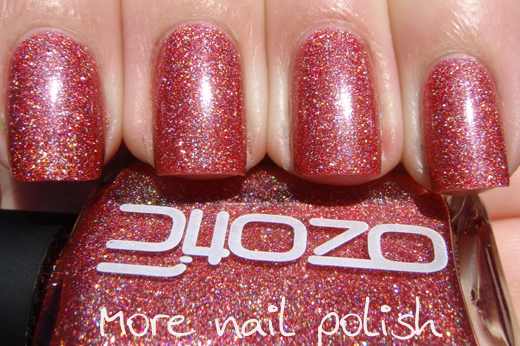 Ozotic 600 is a salmon pink colour, with the trademark large particle scattered holographic particles that is in all the 600 series polishes. 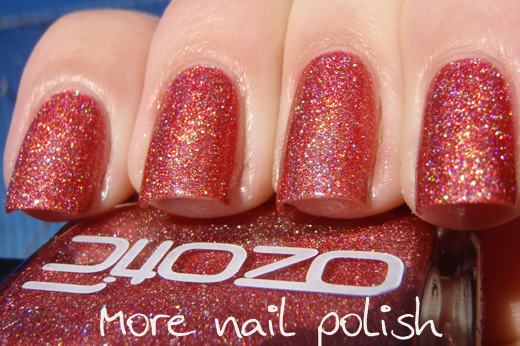 Ozotic 601. Now I reckon I have three different versions of this one. I did a comparison of the old and new 601's back in September last year, and looking at this polish it seems somewhere inbetween the old one and the old new one. This version is definilty the most recent version available, as I only received it last month and it's in the new square bottle. All these swatches are two coats with Seche Vite top coat. I think these irregular shaped large holo particles are really pretty. I'm surprised that no one has sourced these to franken with yet. 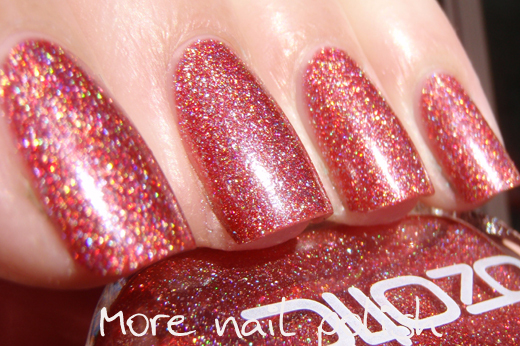 Dp you think these are comparable to holo like Up Colours or are more of a scattered holo because of the glitter (if that makes sense)? I think the scattered holo effect is similar, but the irregular shaped large holo bits in these seem pretty unique. Although they are large, the are totally smooth. 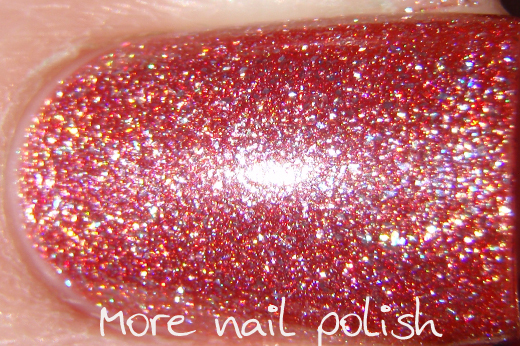 Most like the China glaze kaleidoscope polishes IMO. Lol, that is funny. It's kinda weird when you recognized someone's nails. 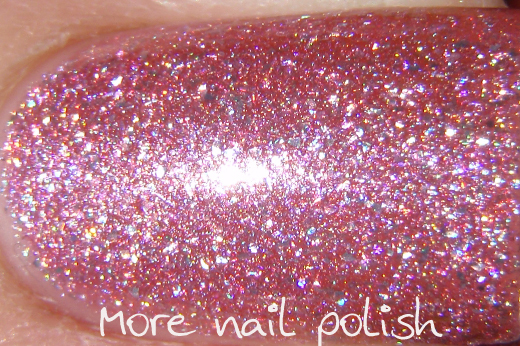 Ps I have a huge picture polish exclusive to announce next week, I can't wait. Your nail shape looks fabulous! I agree, if I want to keep a more square shape, I've got to file pretty often. But the results are worth it!